The special election will be held April 3. 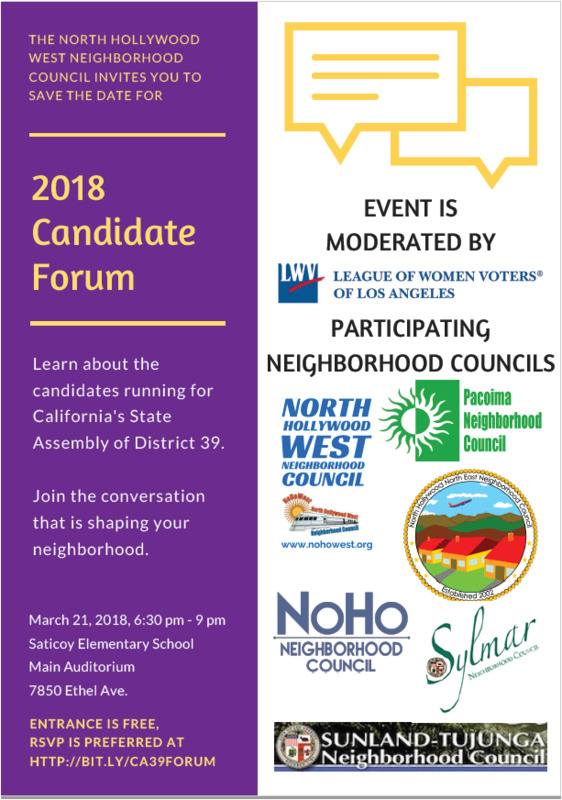 The event is hosted by various neighborhood councils, mainly by the North Hollywood West Neighborhood Council and including the Pacoima Neighborhood Council. The event is moderated by the League of Women Voters of Los Angeles.